Grandson of legendary John Deere engineer defends right-to-repair and condemns Big Ag for "taxing customers"
Willie Cade's grandfather Theo Cade was one of John Deere's most storied engineers, with 158 patents to his name; he invented the manure spreader and traveled the country investigating stories of how farmers were using, fixing, modifying and upgrading their equipment; today, Willie Cade is the founder of the Electronics Reuse Conference, having spent a quarter-century repairing electronics, diverting e-waste from landfills and rehabilitating it for use by low-income schools and individuals. In a stirring op-ed for Security Ledger, Cade the Younger takes aim at John Deere and the other businesses that have lobbied against Right-to-Repair legislation that would force them to end practices ranging from the use of software locks to prevent activation of new parts to withholding parts, documentation and service codes from the independent repair sector. Though Willie Cade works in electronics, he uses his grandfather's work with farmers to explain why this is wrong, saying that "Thrift and efficiency were the values my grandfather and the John Deere of his generation embraced. It’s time John Deere returned to those core values." An avid diarist, Theo’s journals detail his travels all over the country as he visited his inventions in the field to better understand how people used John Deere products. He wanted to design products that would facilitate safer and easier operations, not impose costly delays or contribute to more farming accidents. That closeness to the customer and his dedication inspired many additional patents. My grandfather had 158 patents — 31 of which are on the manure spreader. 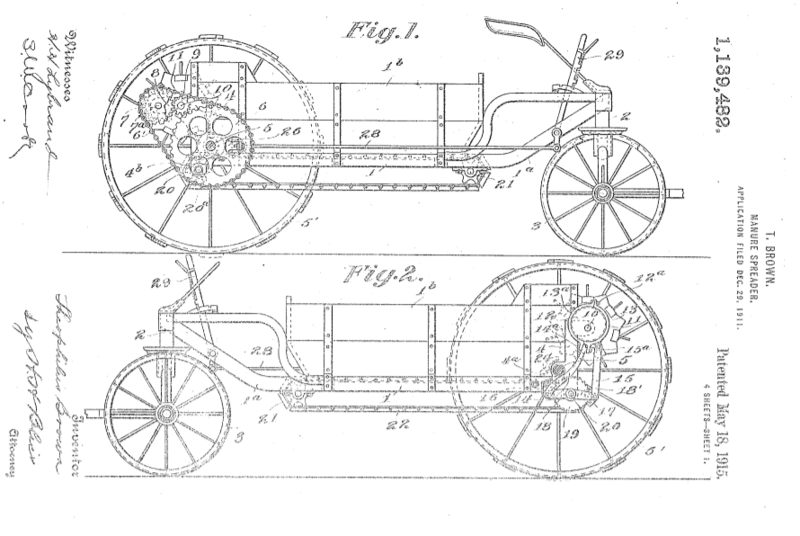 Those patents helped build John Deere’s success. But these days, John Deere requires its customers jump through hoops to repair their equipment causing needless delays and extra expense. As workers at companies from Kickstarter to Gimlet to Vox vote to unionize, and as traditional labor organizers call on game devs and others to organize, Silicon Valley is a lot more friendly to pro-labor policies than ever before.